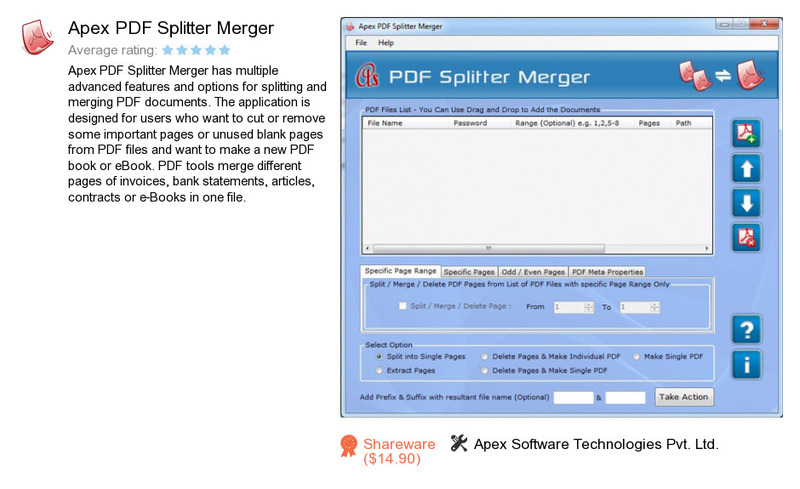 Apex PDF Splitter Merger is a product developed by Apex Software Technologies Pvt. Ltd.. We know of version 2.3. Version 2.3.8.2 is downloadable at our site. Apex PDF Splitter Merger installation package has a size of 3,663,260 bytes. Apex Software Technologies Pvt. Ltd. also publishes Apex Files Splitter Merger and Apex Text to Speech.